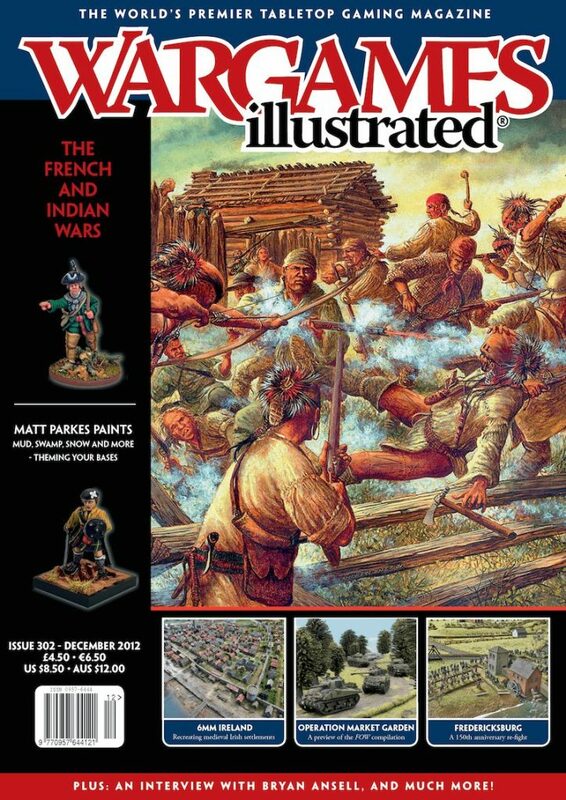 The December 2012 issue of Wargames Illustrated. Featuring the theme of The French And Indian Wars. In our first article for this month’s theme, Neil Smith and Chris Peers introduce us to the history and guide us through the practical information required for bringing an F&IW force to bear on the tabletop. 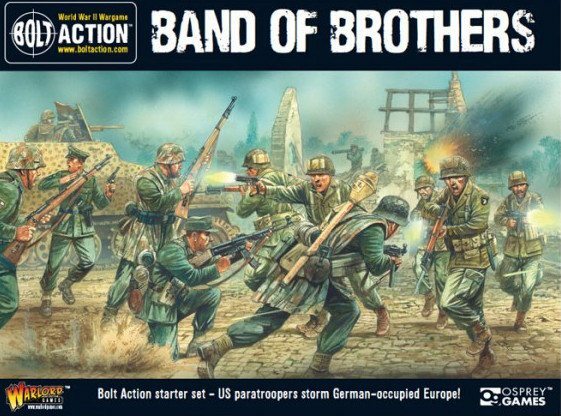 Battlefront writer Mike Haught previews the forthcoming Operation Market Garden compilation for Flames Of War. Long-time games master and ACW aficionado Bill Moreno talks us through the creation of his Battle of Fredericksburg table in this, the month of the 150th anniversary of the battle. What should a French and Indian Wars tabletop look like? With the help of Grand Manner buildings Neil Smith educates us on how to tell our wikiups from our wigwams in order to bring accurate F&IW scenery to the miniature battlefield. Doug Biggs is back with his look at the U.S. Army of the Mexican-American War, including suggested stats and special rules for using them in games of Black Powder. The last in our trilogy of articles which tells the tale of the rise of Imperial Japan. In his final piece Kevin Jones presents the background to the last of the samurai insurrections – The Satsuma Rebellion – and provides a scenario for re-fighting one of its battles – Tabaruzaka, 1877. Colin Patten reveals several marvellous 6mm displays he has been working on for the Waterford Museum in Ireland. Joe Krone gives us a look at the three North American Flames Of War ‘Nationals’ events run during 2012. See the best looking armies, as well as the winners from the Iron Cross Painting Competition. Dr Joe Legan takes a look at the types of folks who partake in our great hobby, and asks if we can’t all get along? In this installment of Andy Hoare’s campaign of derring-do through the Small Wars of Queen Victoria, we are presented with ideas that see your characters bringing their followers along with them into the thick of battle. Also included is a look at, and scenario for, the First Afghan War. Following on from his “groundwork” introduction to basing in our last issue, Matt presents a few interesting ways to theme your army basing around the battlefields they may have fought on. We catch up with a legend of miniature gaming and ask him to tell us his story. It’s that time of the year again when the exhibits at the Bovington Tank Museum are joined by their tiny cousins, at the Battlegroup South Wargames Show.